C&C Outfitters Argentina Wingshooters is a company dedicated to providing the ultimate dove, pigeon and duck hunting experience in Argentina. Over the last 16 years we have made this possible by assembling the most professional, hard-working yet fun-loving staff possible. We provide a high quality personalized service that makes us different from other companies. Ignacio “Nacho” Castro, the owner, with his staff such as birdboys, chefs and assistants will do anything possible to make this trip truly unforgettable. As our hunters usually say after they leave Cordoba in their kind goodbye words, you will visit us as a client say good bye to us as a friend. Hello, my name is Ignacio Castro, but please, call me “Nacho” as my friends and family do. I am a Córdoba native and have been blessed to have lived in this beautiful region for most of my life. I am a Board Member of the prestigious Córdoba Chamber of Hunting Outfitters of which my company C&C Outfitters Argentina Dove Hunting is an accredited member. At one time I lived and studied in the United States for several years. This led to me becoming fluent in the English lang uage, which is a real benefit for my English-speaking hunters. I have dedicated my career to providing the ultimate high-volume dove hunting experience for my clients. To accomplish this, I have assembled the most professional, hard-working yet fun-loving staff that is possible. Quite simply, the level of personal service which they provide is unequalled. My birdboys, my chef, and my assistants do anything and everything possible to fulfill your every wish. My scouts are constantly in the field monitoring dove and pigeon movements. Dwane Rutledge, my North American Office Manager, has true passion is wingshooting dove/waterfowl. He has traveled much of North America, Canada and Mexico for over 25 years and has found South America as the best to offer a wing shooter. After his first trip to Argentina with Nacho, the owner of C&C Outfitters has became trusted friends for over 10 years. He enjoys attending sports shows,dinners and shooting events to tell people about the fabulous hunting and outstanding service you will receive at C&C Outfitters! Together we function as a team to insure your complete and total satisfaction. In addition, we have leased the very best hunting areas. Though the birds are here year-round and do not migrate, we are always working to add even more lands as the birds shift their daily flight patterns. 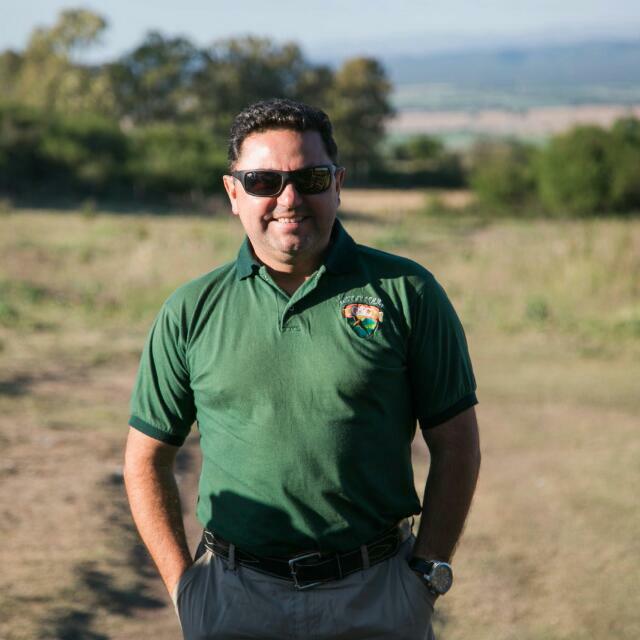 Come to Cordoba, Argentina, hunt with us, and make your dreams a reality! !